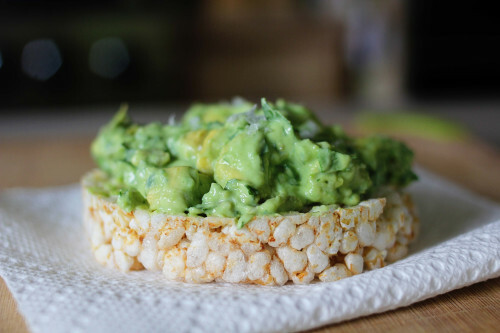 Smash avocado onto a rice cake. Sprinkle with seasonings. Enjoy! Tip: other toppings could include diced onion, sliced jalapenos, a slice of smoked salmon.